Miyamoto Seisakusho releases “M42 lens mount adapter adaptation function (ADJ type)” on December 15 as a new product of the RAYQUAL brand. M42 Mount adapter for attaching the lens to various bodies. Loose the 5 screws of the lens side mount part and have the adjustment function that can adjust the stop position by rotating the mount part. As a result, it is possible to adjust to a free position, such as allowing the lens index of a screw-in lens whose position is not fixed by individuals to be directly overhead. 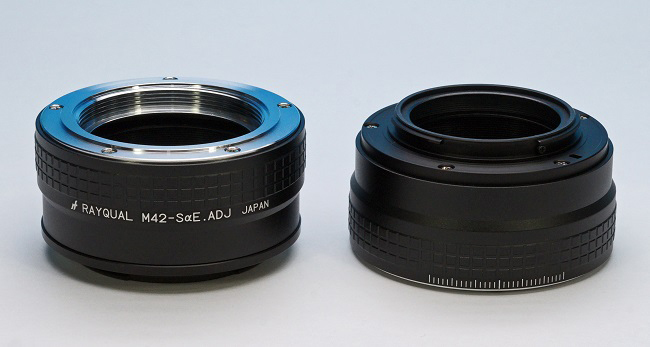 ” Leica L mount (L39 screw) lens mount adapter ” released in April has the same mechanism. 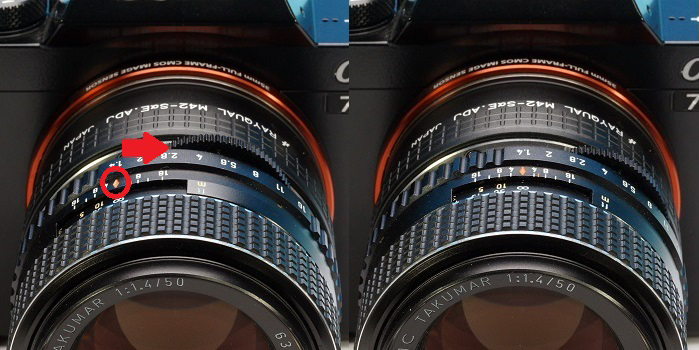 Two lineups are “M42-SαE.ADJ” (NEX, α7 series, etc.) 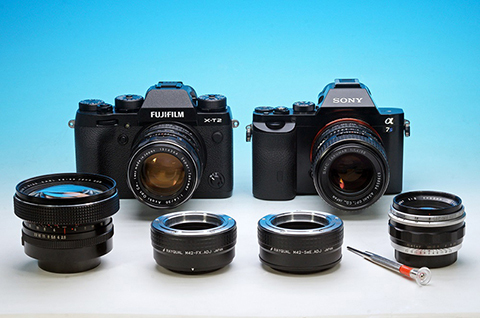 for Sony E mount, “M42-FX.ADJ” for Fujifilm X mount. The suggested retail price is 16,380 yen including tax. It comes with a precision screwdriver for adjustment. This entry was posted in 3rd Party Lens, Accessories and tagged M42-SαE.ADJ. Bookmark the permalink. Trackbacks are closed, but you can post a comment.